The State Bank of India (SBI)-led consortium appears to be making one last ditch effort to rescue the beleaguered Jet Airways from bankruptcy with the series of announcements on Monday afternoon. Nevertheless, the SBI-led banks are increasing their exposure to this very financially weak airline and the prospects for recovery are also not very clear/well defined at the moment. The stepping down of the promoter Naresh Goyal and his wife Anita is a significant and long-awaited step to bring about the necessary restructuring/turning around of the airline. 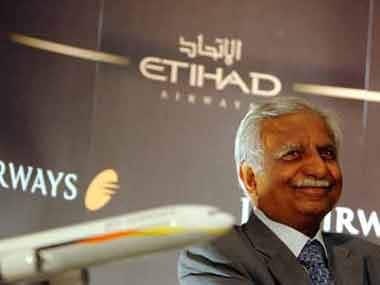 In addition, with Abu-Dhabi based Etihad Airways signaling that it does not want to play a role in turning around this troubled Mumbai-based airline via one of their directors stepping down too, it would make it easier for the SBI-led consortium to find a new global airline player/buyer to take the key role in the cockpit at Jet Airways. 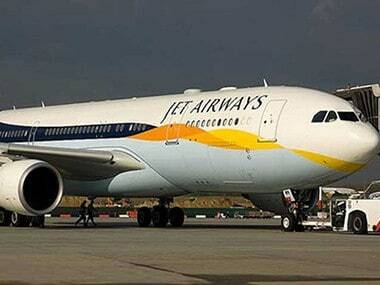 The bankers-led consortium has announced debt funding to the turn of Rs 1,500 crore for Jet Airways, and it would help to keep the airline running over the next few weeks, till a suitable buyer/global airline partner is inducted. Jet Airways already had borrowings to the tune of Rs 5017.17 crore at the end of September 2018. Earlier, while declaring its December 2018 quarter results in mid-February, Jet Airways had also pointed out its negative net worth of Rs 10,370 crore at the end of the third quarter of the current fiscal. A negative net worth of a company indicates a weak financial situation in which a company’s liabilities exceed its assets plus shareholders’ equity. Clearly, the financial situation at Jet Airways is precarious and the broader banking sector is facing greater risks with regard to outstanding debt-related to this airline. Jet Airways has not given its balance sheet for the December 2018 quarter. The only rationale in the larger interest of the aviation sector, from the point of view of banks, appears to be that they are aiming to get better valuations for Jet Airways from a future buyer while keeping the trouble airline in operation. 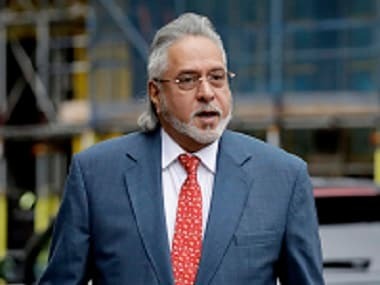 Lenders also appear to be keen to avoid the earlier situation witnessed in the aviation sector in mid-2012, when the collapse of Kingfisher Airlines resulted in the subsequent default of loans totalling approximately Rs 9,000 crore. 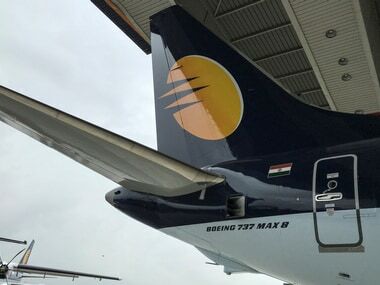 Meanwhile, the financial and liquidity crisis at Jet Airways had cast a complete shadow on whether Jet Airways could continue its day-to-day operations—media reports have highlighted that the troubled airline is currently operational with barely one-third of its 119 fleet of planes. Also, its current daily flight schedule is estimated to be only about one-fourth from over 600 daily flights several months earlier. The SBI-led lenders would also get 11.4 crore shares in Jet Airways, as per the press release on Monday, and it would give them a majority stake in the troubled airline. The bankers-led consortium is optimistic of finding a new buyer/global airline partner for the troubled airline by the end of the June 2019 quarter. The latest announcements were declared after the close of trading on Monday, but Jet Airways stock closed 12.7 percent higher at Rs 254.5, on investor’s expectations that a resolution plan for the airline is expected shortly. The restructuring process of Jet Airways involves the setting up of an interim management committee to manage and monitor the daily operations and cash flow of the company, and it would report directly to the lenders. Clearly, the above step is a short-term move to stabilise operations at Jet Airways, with aviation analysts highlighting the complexities of running an airline on a day-to-day basis. It remains to be seen whether the interim management committee would be able to appropriately respond to the various short-term challenges faced by Jet Airways including loss of market share. Its market share was approximately 14 percent in November 2018 vis-à-vis 21 percent levels in May 2014, as per various reports. Also, the troubled airline was dealing with low employee morale owing to outstanding salaries to staff and crew along with unpaid dues to the lessors of planes. Clearly, a leading global airline partner needs to be inducted into Jet Airways as soon as possible, and restore the glory of this airline which had set standards for the broader aviation industry over the past 25 years.